Xipooh is a action game made by MINZAO GAMES. The match has adorable images and basic gameplay, suitable for many ages. 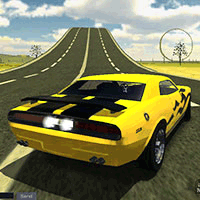 As it’s a flash game, then you can play the game on your browser. The intriguing thing in this match is that Xipooh will automatically run continuously. Additionally, you will find gold coins on Xipooh’s course. Try to get all of the golden coins. Xipooh will possess 5 lives within this match. In case Xipooh touches an enemy, then Xipooh may lose a life. Specifically, if Xipooh strikes the spikes, then you will lose instantly.